Leave it to a photographer's baby to be on time and born with the sunrise! 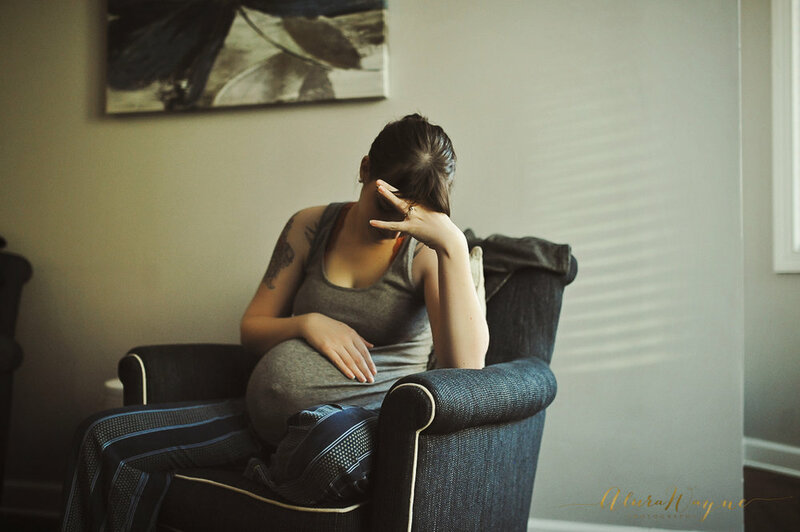 This was the second birth for Madison, fellow photographer and mama to two now, a boy and a brand new baby girl. Her son, not yet two, was also present for the entire birth experience. 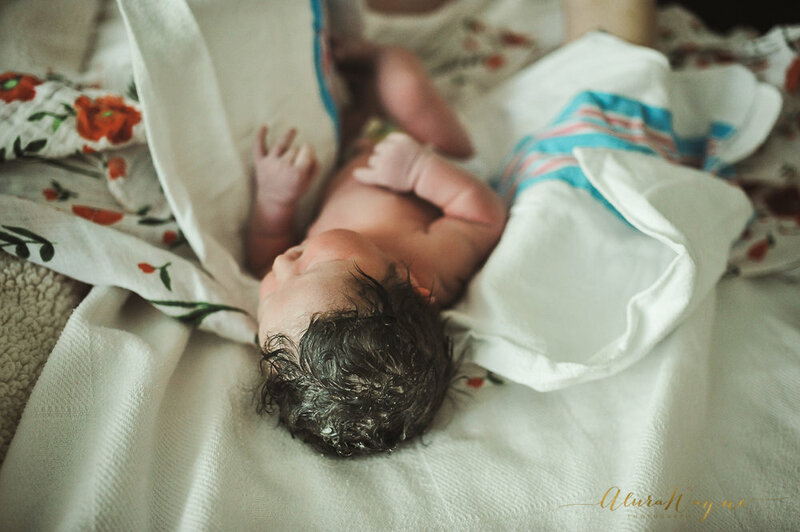 She gave birth peacefully at Baby and Co. in Nashville, TN. 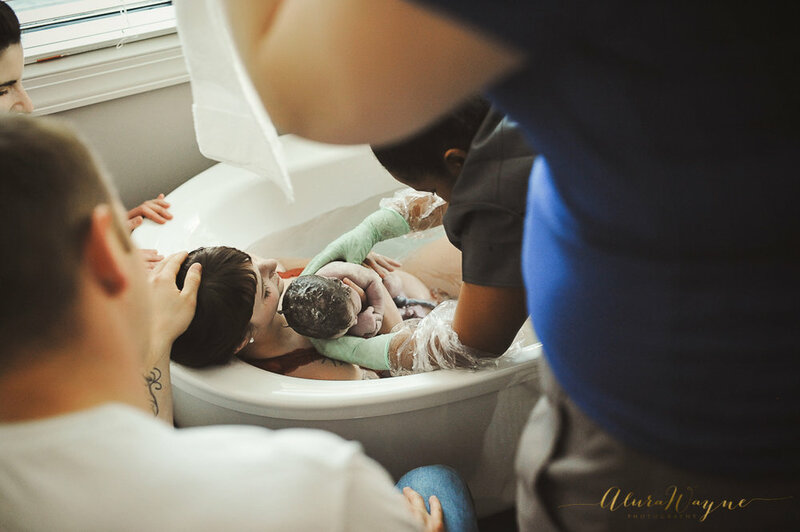 Baby girl was born after several hours of labor and barely two full pushes in the birthing tub. She had a head FULL of hair and a nice, loud cry! Social media is an important part of any business. We created a social media toolkit just for birth photographers.